The Ultimate Pre-Workout Formulation Designed To Boost Energy, Focus And Strength Without The Crash! 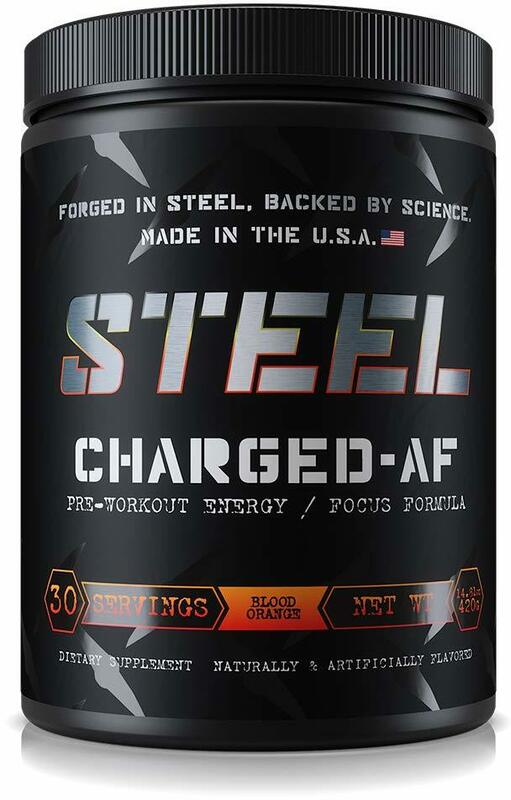 What is Steel Supplements Charged AF? 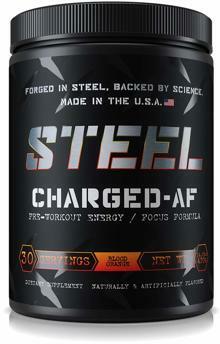 Steel Supplements Charged AF is the high energy pre workout from the supplement company that provides no BS! N-Acetyl-L-Tyrosine: Improves mental focus and cognition allowing you to stay "zoned in" during your physical activity session. Orchilean: An adaptogen that allows your body to respond better to the demands of training and physical activity. Studies have also shown that it helps to increase blood flow for better pumps and nutrient delivery. This is one serious product and is not for the faint hearted.